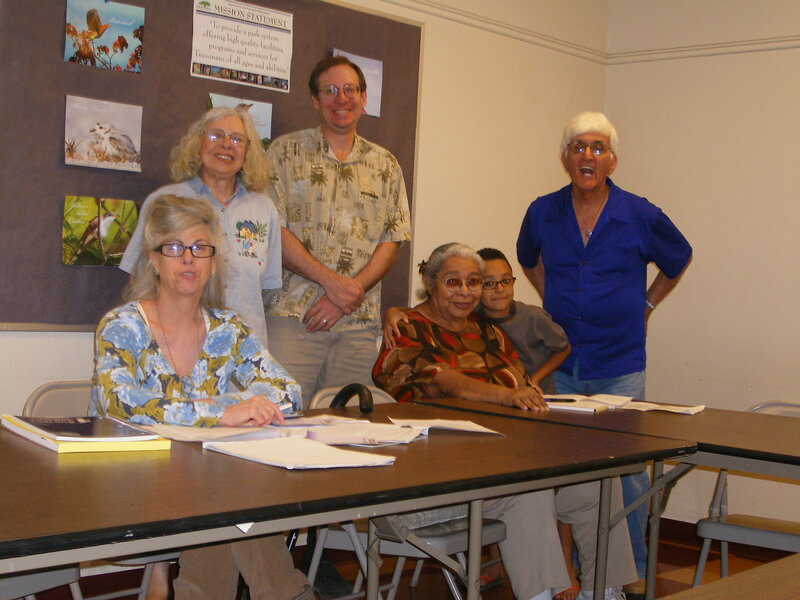 From May 19 to June 9, 2011, P&W-supported poet D. E. Connelly, author of the manuscript "A Twisted Balance: One-Line Haiku & a Few Senryu," taught a haiku workshop at the Armory Park Senior Center in Tucson, Arizona. We asked her to say a few words about the experience. The poet-sage Matsuo Bashō, born 1644, wrote in memoriam of a friend, “never think of yourself / as someone who did not count— / festival of the souls.” Ueda translated this Japanese haiku into English. The poet-artist Marlene Mountain, born 1939, wrote “white sugar white flour white male”—no translation necessary: It was originally written in U.S. English. Mountain’s haiku reflects the three word-cluster device of classic one-line Japanese haiku as well as its device of image juxtaposition: The first and second word clusters are specific images; the third word cluster, “white male,” is metaphoric, resembling one (including males of color and all females) who, offering no nourishment, choose instead to promote oppressive practices that strip people and things of their inherent value. As Bashō’s tone was of his time and place, Mountain’s is of ours—and each poet agitates the soul: Will I be remembered? How will I remembered? 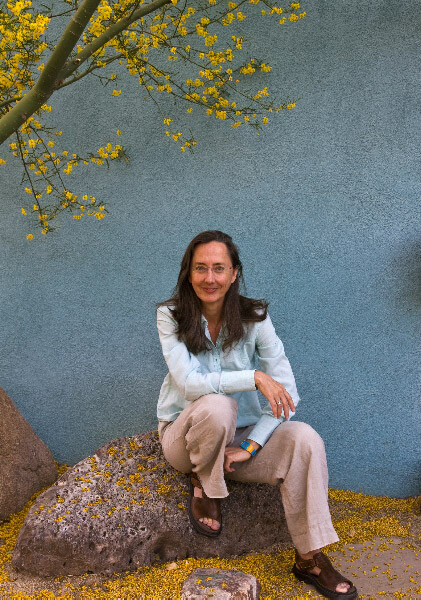 Poets & Writers remembered those of us in the Arizona desert at a time when recognition of each individual’s contribution was being white-washed. With its support and encouragement, the Armory Park Senior Center in Tucson was able to host In The Spirit of Haiku: Three Workshops & A Public Reading. Like water in the desert, sponsorship of a poetry workshop at the Center is wonderful, but rare. Workshop One, focusing on the haiku of Bashō (as translated by Sato), reviewed the classic poetic devices compressed within this seemingly simple one-line poem (e.g., two unequal phrases; a strong cutting word between; each phrase with its own specific imagery, which might portray the “what,” “when,” and “where” of the poet’s experience; a seasonal reference—all combined to best convey emotion in a syntax natural to the poet). Workshop Two, focusing on the haiku of Marlene Mountain, explored how the initial haiku in U.S. English (introduced, arguably, in the 1950s) evolved into what is currently promoted in English as a form of ten-to-fourteen syllables. Throughout, but mostly in Workshop Three, attendees shared original work: One participant incorporated calligraphy; another haibun; another read haiku in German, demonstrating how sound patterns, even without sense, can convey emotion. The public reading gave participants a chance to interact with an audience, which included a few people in their twenties from Tucson Youth Development. One youth was deeply moved by an elder’s seasonal allusion of being in her life’s “December,” with feet on fire from pain as well from an urgency to experience fully and profoundly what remains of her life. A deep bow to Poets & Writers, the workshop participants, the audience, as well as the Armory Park Senior Center who published the participants’ haiku in its July newsletter. Photos: (Top) D. E. Connelly. Credit: Tom Wuelpern; (bottom) workshop participants. Credit: D. E. Connelly.